San Antonio’s unique appeal is the pervasive ambience of a colorful, authentic past. This portrait in words and pictures covers the evolution of the city over the course of nearly three centuries, from the days of the colonists of New Spain to the defense of the Alamo to the inrush of a “jumble of races” to the rapid growth of the modern era. 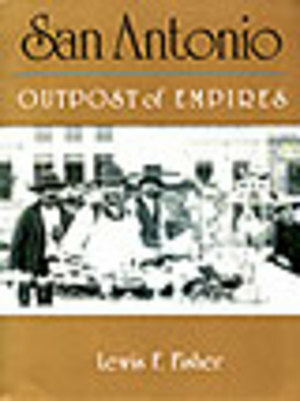 Here the faces of persons like Davy Crockett, Robert E. Lee, Theodore Roosevelt, Geronimo and Queen Elizabeth II mingle with those of Spanish missionaries, female aviators, trail drivers, chili vendors, firemen and bird sellers as San Antonio: Outpost of Empires documents a remarkable city’s march through time.